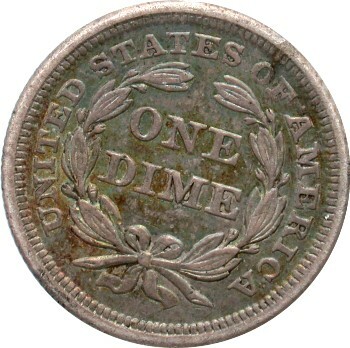 Comments: Obverse 1 features a bold date that nearly touches the base. 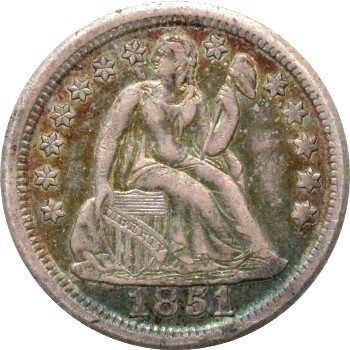 There is severe die erosion on the right side denticles of the obverse. 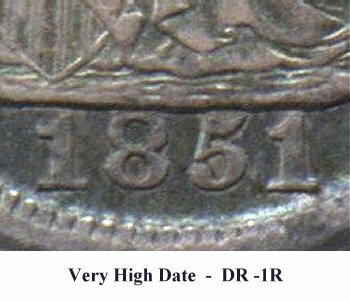 The denticle erosion is most visible across from Stars 10 through 13, Liberty's foot and down to the second 1 digit in the date. The 5 digit is closed. Reverse A is easily identified by a weak (OF) within the legend. 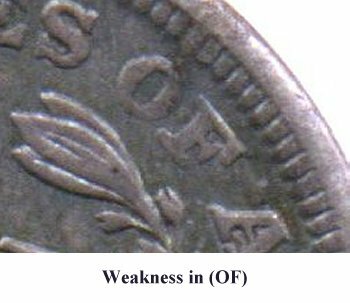 All Variety 101 examples seen to date have a reverse rotated left by 16 degrees.